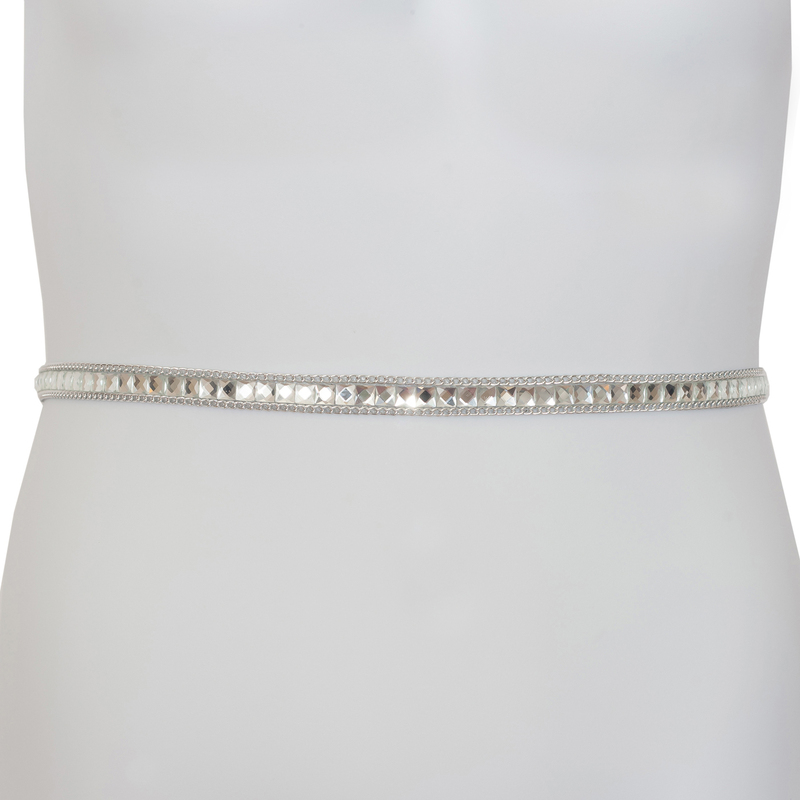 Plus size belt features row of beautiful rhinestone detail on silver metal chain. 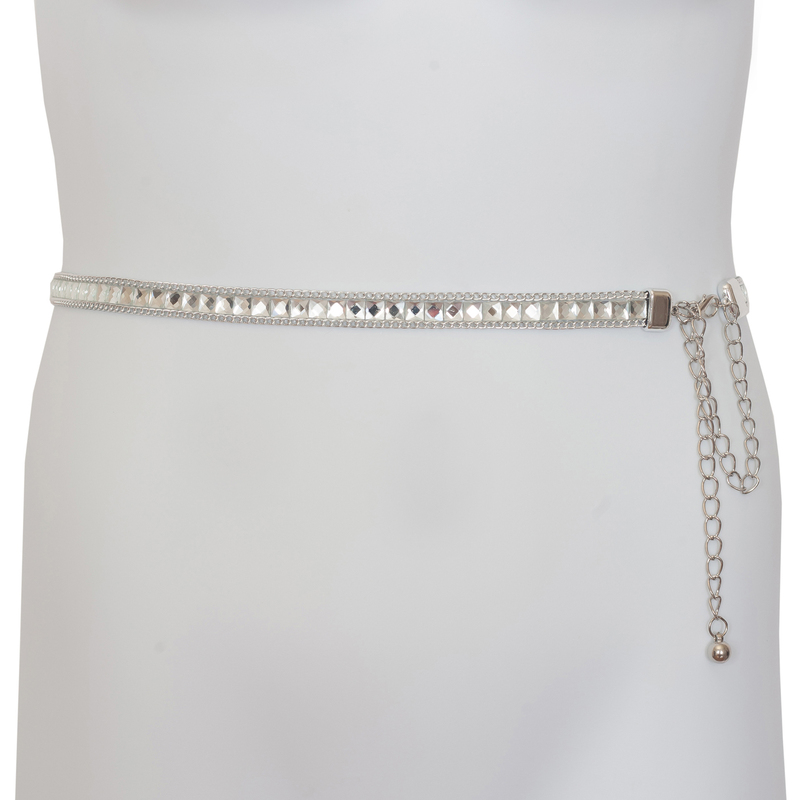 Hook and Eye closure. 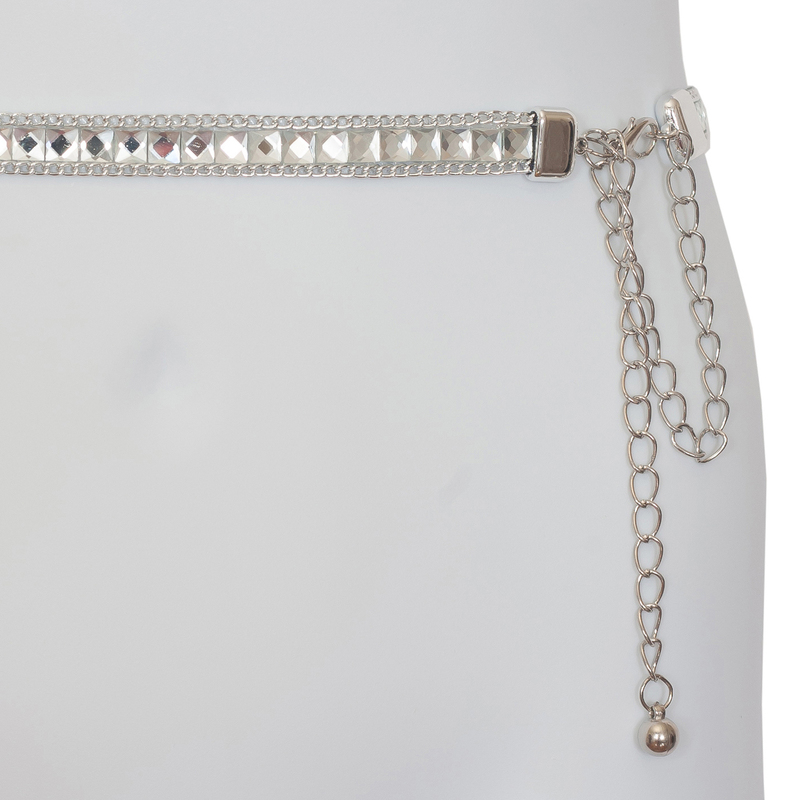 Adjustable length: 34 inches to 42 inches. Width:1/2 inches.